Samuel Nugblega is committed to supporting the people who provide health care to his fellow Ghanaians. “I have a passion for personnel development,” he says. “My key passion is to support people to grow.” As technical advisor of leadership, governance, and human resources for the Christian Health Association of Ghana (CHAG), Nugblega is in a position to do just that. Supporting health workers to do their jobs well is vital to his country’s efforts to improve health outcomes. 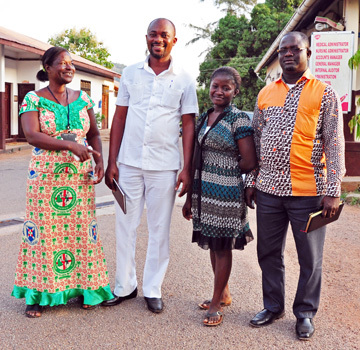 As Ghana seeks to provide universal health coverage to more than 25 million people from multiple ethnic and linguistic groups, the government relies on people like Nugblega and faith-based organizations like CHAG to help move closer to this goal. Coordinating the many different pieces of the puzzle, however, is no easy feat. CHAG is responsible for over 40% of health services delivered in Ghana. It coordinates the activities of 184 health facilities with over 13,500 health workers, as well as training institutions owned by 21 different Christian denominations. As many of these facilities are in the country’s most remote areas, where qualified health workers are often reluctant to serve, CHAG’s role in providing health care is especially important. In order to achieve that holistic view and see how their work fits into a bigger picture, staff of CHAG and sister associations in Africa helped to establish the Africa Christian Health Associations Platform. Designed to strengthen coordination among member associations in 21 countries, the platform holds regular meetings to facilitate knowledge exchange and ensure that members are actively involved in local, regional, and global initiatives focused on the health workforce. Recognizing a shared need to focus on one especially key area—the health workforce—and strengthen their HR management practices, members formed a Human Resources for Health (HRH) Technical Working Group. HR management focuses on health workers—how they fit within a health system, as well as how they are hired, trained, paid, and supported to be most productive. 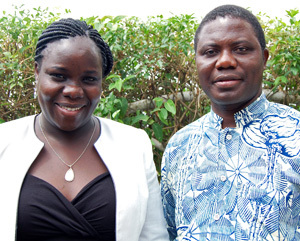 Nugblega is the chair of the working group, and CapacityPlus’s Doris Mwarey is the coordinator. 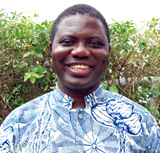 Mwarey also serves as regional HR technical advisor for the Africa Christian Health Associations Platform—a position supported by CapacityPlus and IMA World Health. “One of the key roles I’m playing is to create linkages between the different Christian Health Associations,” she explains. “I help them to learn from each other, and I support them through various collaborations.” Today the HRH Technical Working Group includes representatives from 13 Christian Health Associations in 10 countries. In Ghana, CHAG’s development of an HR management policy for all of its facilities is just one example of the benefits of this knowledge-sharing. Many of CHAG’s facilities were using different HR manuals, creating a fragmented system of guidelines and policies. Without a uniform manual, everything from employee benefits and workplace safety procedures to salary schemes and vacation allowances varied from facility to facility, creating confusion and inequality. Then, at a meeting of the HRH Technical Working Group, Nugblega learned about a standardized HR manual being used by the Christian Health Association of Kenya. He was inspired to bring the idea back to Ghana. Thanks to this participatory process, CHAG-supported facilities are now eager for the document to be finalized so they can put it to use. Nugblega estimates it will be completed by the end of the summer. “This is the first time we have had a harmonized manual that the entire network can use,” he reports with evident pride in this accomplishment.